I haven’t worn hats very often, because: I have a huge head (not kidding, it’s about 23″ around), and hats flatten my curls. I do love a Fall/Winter beret, and of course a wide brimmed sunhat for protection. But many women wear hats like a second skin, natural and beautiful and graceful. The Visible Women of Visible Monday are certainly in that group, and provide inspiration. As always, the first tip is: wear hats when you want to, and own the look. First among equals is the fabulous Judith of Style Crone, who has made exquisite hats her signature. She once owned a hat shop and now has a remarkable collection in her home – a hat room! Make sure you visit Judith’s monthly Hat Attack, to see her newest creation and to link up your own hat look. 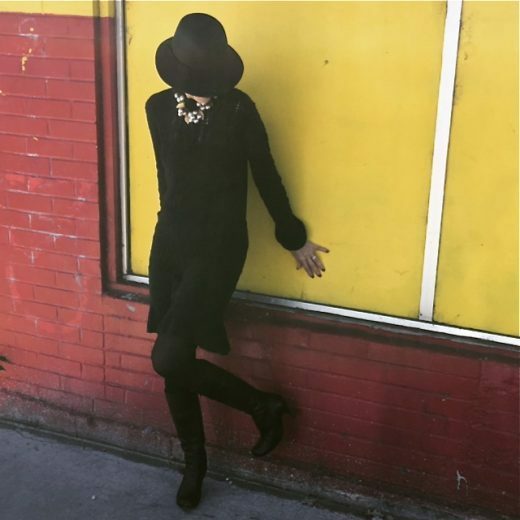 This week she chose to look mysterious in a black brimmed hat. Jill of Grown Up Glamour chose a herringbone Fedora to keep with her theme of black and white. The hat adds a distinctive and memorable accent. Love the shoes. 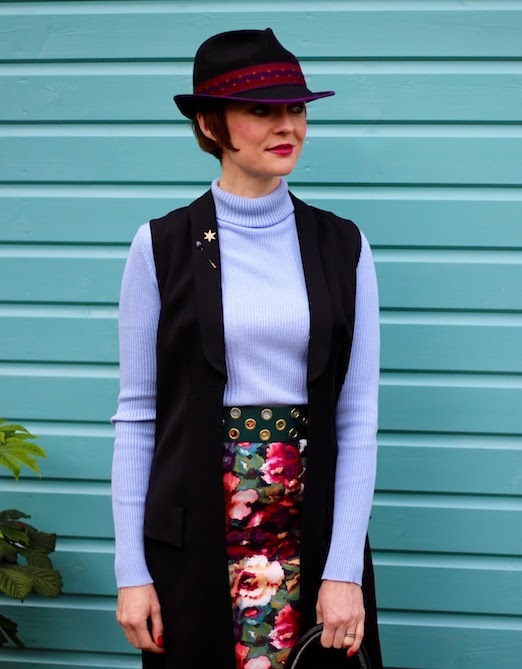 Jenny from A Pocketful Of Polkadots chose a tweed newsboy cap, casual and modern, to complement her fun stripes and denim. She and our next three Visible Women were part of a “Fab 40’s” challenge to style a hat with their chosen outfit. Sheela of Sheela Writes is alluring and invokes a Victoriana vibe. 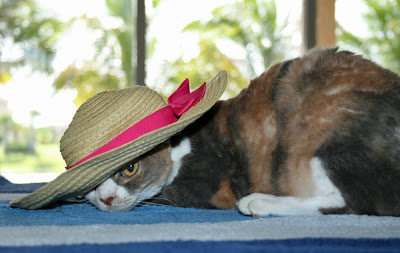 She chose a hot pink veiled hat to top off her steampunk look. Fabulous. 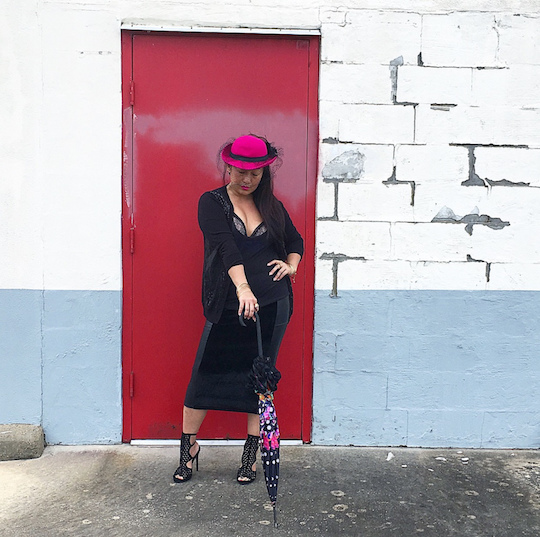 Samantha of Fake Fabulous wears a men’s fedora and looks so captivating. Love her lapel pins too. How do you like your hats? 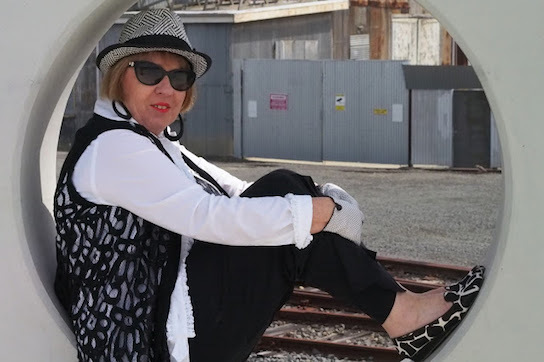 Thank you Patti for the inclusion in this great article on wearing hats at any age.I have always loved hats but find I wear them so much more now than when I was younger, I think this goes with the joy of dressing for yourself that comes with age. 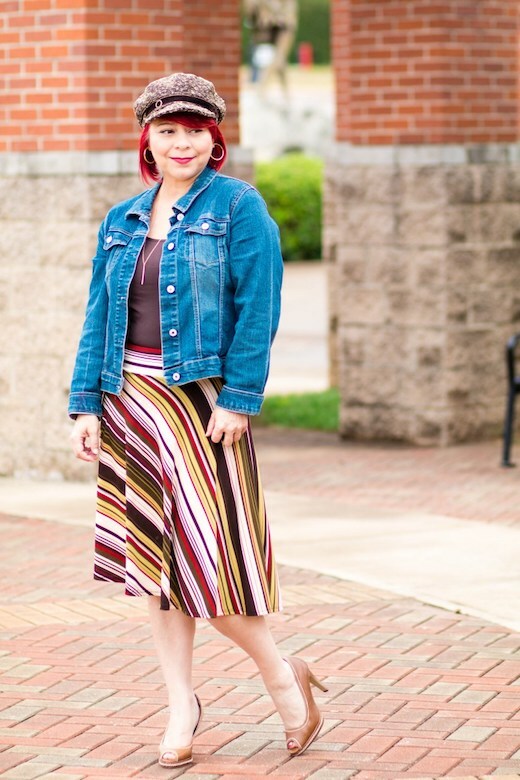 I really enjoyed this post spotlighting the wonderful women of Visible Monday in hats. Hats are such a great accessory, (if you like to wear them), and I am inspired to pull out some of mine, and give them a try. I so wish I had some fabulous curls to squish, but alas, my hair is naturally straight as a board! I love being able to wear hats when I’m in New York, but they are so hard to pack. I don’t know how Judith is able to take so many of her hats with her when she travels. Love the styles 🙂 I find hats a real necessity down here. The sun is so strong it burns my head if I am not wearing a sun safe hat so I have a collection and wear them outdoors. As an aside all schoolchildren must wear hats in summer/autumn but in northern Australia all year round. Melanoma is a deadly cancer of which we have more than our share here down under. I’ve been loving hats lately—they are a great distraction from my messy hair at times!! The only drawback, I see, is they are hard to take travelling—I guess I’ll just have to purchase one on vaca??? I am a sucker for a good hat, even if it means having hat hair.